How would you like to have more political influence than 99.99% of the population? Would you like to become so influential for the things that you care about that candidates and public officials come to you for support, seek out your opinions or come to know you on a first name basis. Or maybe so important that your opinions help shape the political debate. How is this possible? Simply by getting involved in a political party. And for conservatives, that means get involved in the Republican Party. Most of the political influence in our country is channeled through the two major political parties. Everything from public policy, to candidates for public office and the laws that are proposed and/or passed in our country are influenced by political parties. It is fair to say that the degree to which you can participate and be effective in the political process depends, to some extent, on the degree to which you get involved in a political party. Most people in our country don’t get involved in political parties. They don’t even bother to vote in party primaries, much less volunteer or serve in any elected capacity within a party. Consider some numbers: Only a little more than half of all Americans bother to register to vote; a little more than half of them will vote in the average election; less than half of that number will vote in the average party primary – then split that number in half between the average turnout in Republican and Democrat party primaries. 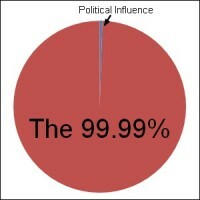 At that point you’re already having more influence than 80% or more of the population. It will vary slightly from state to state, but on average only about 1/10 of 1% of Americans are actually part of a political party structure – meaning they have joined a local party precinct organization. A still smaller percentage of that group either gets elected to a local leadership position or as a delegate to the county, district, state or national levels. These are the people who are usually sought out by candidates and elected officials for their feedback, their help on campaigns and to fill staff positions in government. Political parties in some form or another have existed since the foundation of our country. Their “philosophies” have changed over time however, as members come and go. In other words, they’re no better than the people that comprise them at any given time. For example, think of a political party as a bus that a group of people use to get from one place to another. Every few years the bus pulls over to the side of the road, people get on and off, they fight over the steering wheel, and then it goes down the road for a few more years. But if you’re not “on” the bus, you don’t have any influence over “where” it goes. So, again, do you want to have a greater impact for the conservative agenda and things you care about? Then get involved in the Republican Party at the local level. Don’t let people you may disagree with (or who are just disagreeable) keep you from getting involved. You can’t control what other people do or don’t do. Only yourself. 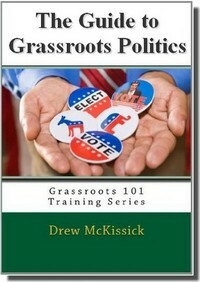 You can get more tips about about party activism in my “Intermediate Guide to Grassroots Politics“!